Brigham and Women’s Hospital, one of Boston’s largest employers, said Thursday that it is offering voluntary buyouts to 1,600 workers to rein in costs, a sign of financial stress in one of the region’s bedrock business sectors. The hospital is profitable, Brigham officials said, but is being squeezed as payments from insurers and the government flatten while labor and other costs grow. Brigham also is burdened by debt from two big projects: a new $510 million building that opened last year, and a $335 million patient health record system that rolled out in 2015. The buyouts — offered to almost 9 percent of the total workforce — are the largest in memory at Brigham, and underscore that even Boston’s highly regarded hospitals aren’t immune to the forces buffeting the health care industry. Hospitals, long a source of good jobs for workers up and down the income ladder, are under increasing pressure from private and government insurers to control expenses while doing more to keep patients healthy. The situation creates a particular bind for the area’s premier hospitals, such as those owned by Partners HealthCare, the parent of Brigham and Massachusetts General Hospital. That’s because their reputations for medical excellence come with a high cost for services. Other hospitals will likely follow Brigham in trimming or restructuring their payrolls, said Nancy Kane, a professor at the Harvard T.H. Chan School of Public Health. A 2012 state law sets a target of containing overall growth in medical spending to 3.6 percent a year, and beginning in 2018, that will drop to 3.1 percent. Meanwhile, more people in Massachusetts have been joining the state Medicaid program, called MassHealth, while the share of residents paying premiums for commercial health insurance is falling. That is concerning for hospitals because MassHealth pays them less than private insurers pay for the same services. Since the election of President Trump, hospitals also have been bracing for potential changes to the Affordable Care Act, which Trump and Republicans in Congress have vowed to repeal. While the buyouts at Brigham are voluntary, hospital officials acknowledged that layoffs are likely later this year, depending on how many people accept the voluntary offer. They did not say exactly how many positions they plan to cut. Labor represents about 66 percent of Brigham’s costs. The hospital has about 18,000 employees. Workers must be 60 or older to be eligible for the buyout offer, which includes one year of base pay and up to 20 months of health insurance. About 5,300 physicians, faculty, and research staff — just about anyone with an MD or PhD — will be excluded from the early retirement offer. Brigham spokeswoman Erin McDonough said reducing physicians could potentially hinder patients’ access to care, while research staff generally are paid through outside grants and do not affect the hospital’s payroll. About 475 unionized workers are eligible for the deal. Brigham said it needs approval from the Massachusetts Nurses Association and the Area Trades Council before offering buyouts to employees represented by those unions. Both groups said Thursday that they would allow their members to consider the early retirement deal. But David Schildmeier, a spokesman for the nurses union, which represents 3,300 nurses at the hospital, said the union would watch to make sure staff cuts don’t hurt patients. “Right now, there is no justification for any reductions of direct-care staff for patients at the hospital. We’re concerned that the hospital is considering reducing staff at the same time that it’s trying to expand its empire into other states, and after just opening up a multimillion-dollar headquarters in Somerville,” Schildmeier said, referring to Partners’ new corporate offices in Somerville’s Assembly Row. Brigham’s announcement about workforce changes comes just a week after Partners said it wants to acquire Care New England Health System, Rhode Island’s second-largest hospital network, and just a day after Care New England also announced job cuts. 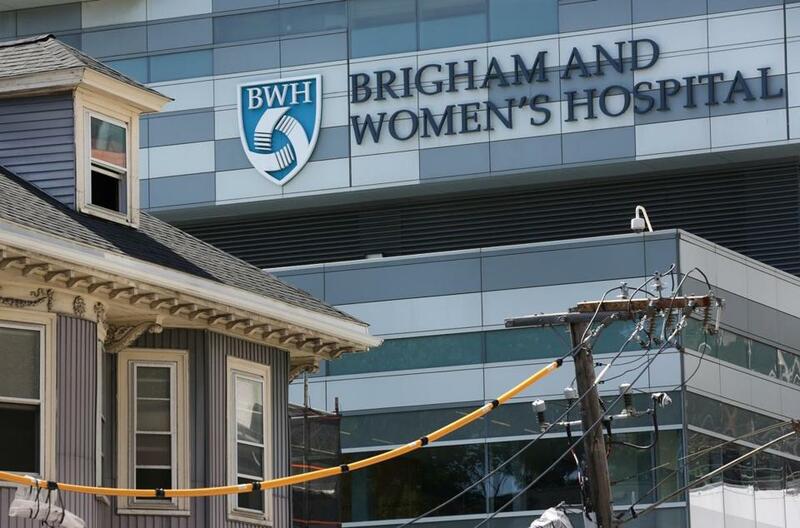 Brigham officials said their buyout offer is unrelated to the Rhode Island deal. Brigham, along with Mass. General, was a founding member of Partners. Brigham and Mass. General are the biggest moneymakers at the company, which also owns smaller community hospitals. In the fiscal year that ended Sept. 30, Brigham collected $2.7 billion in revenue and earned $93 million on operations. That contributed to $12.5 billion in revenue at its parent company, but Partners lost $108 million in the year largely because of its struggling insurance business, which mainly serves low-income patients. Brigham officials say they already have taken many steps to control costs, such as leaving open jobs unfilled, standardizing the purchase of supplies, and sending patients when possible to their lower-cost Faulkner Hospital campus. Brigham’s workforce changes come as all Partners hospitals are embarking on an initiative — dubbed “Partners 2.0” — to become more efficient. The company has not yet detailed what that entails. “It’s hard to imagine you can get to a more efficient level of operation without losing [jobs],” said Dr. Paul Hattis, professor at Tufts University School of Medicine. Hattis, who has been a critic of Partners’ high prices, credited the organization for taking steps to control costs. But he said Brigham should not have exempted so many highly paid doctors and scientists from its buyout offer. Hospitals are a major employer in Boston and across the state. Partners-owned Mass. General employs more than 25,600 people. Beth Israel Deaconess Medical Center employs about 10,700. Boston Medical Center has about 6,200 workers, and Tufts Medical Center has about 5,000. None of these other hospitals reported significant layoffs, buyouts, or other changes to their labor forces.